Amphenol has released the Micro-B series of industrial connectors. The Micro-B series utilizes a triple bayonet coupling that provides quick and positive locking, along with an internal EMI ground spring for shell-to-shell conductivity. This circular connector series was designed for industrial applications like sensors, data and mobile communications, medical equipment and motor controls where electrical performance must be met with affordability. The Micro-B series features high density insert patterns with size 22D contacts allowing for more circuits to be connected and a simplified termination process with tape and reel contacts. This RoHS-compliant circular connector series meets smoke, toxicity and flammability requirements. It also offers tool-less and fast mating for ease of use in the field. Information concerning pricing and availability can be found on Amphenol’s website. HARTING has introduced a line of expanded beam assemblies designed to provide reliability and durability for high bandwidth transmission over fiber optics in harsh operating environments. Standard optical interfaces are sensitive to contamination. 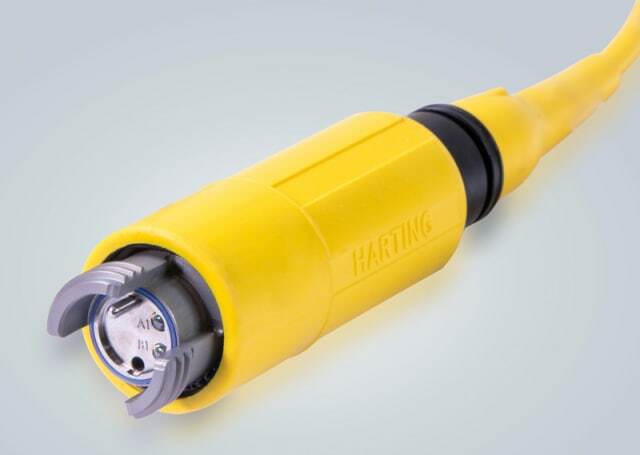 With HARTING’s expanded beam assemblies, the fiber is safely packed in a connector housing that cannot be affected by dust, water or other environmental factors. This 2 and 4 fiber channel, IP-68 rated (in both mated and unmated condition), fiber optic solution is designed for a temperature range of -40C to +85C. It’s easy to install and maintain, and as a genderless connector, regular disconnection and re-connection of the cabling is simpler than with standard fiber optic cabling. Correct mating of the two assemblies is always assured. For more information, visit HARTING’s website. 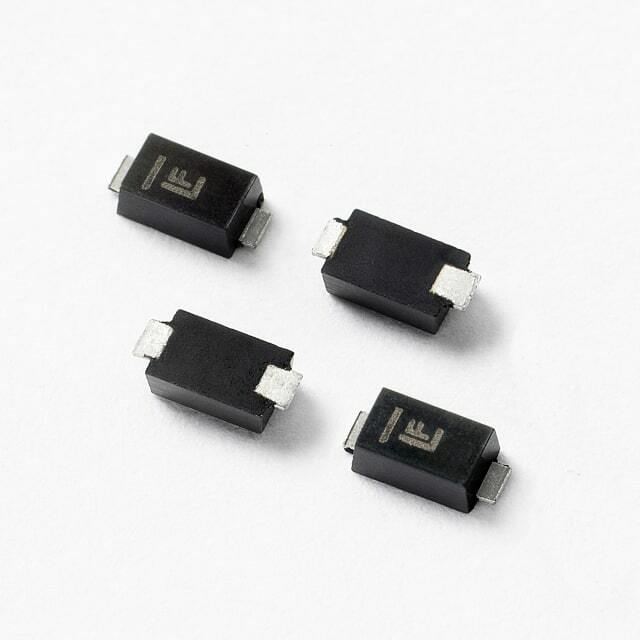 Littelfuse has introduced 16 series of Automotive Qualified TVS Diode Arrays (SPA Diodes) that are Production Part Approval Process (PPAP) capable. They offer automakers and high-end industrial manufacturers the confidence of a known and reputable single origin flow from wafer creation through testing of the devices used in their products. These AEC-Q101 qualified devices offer a durable protection approach for current and emerging interfaces in the automotive ecosystem for data lines, charging lines, control lines and drivetrain, as well as for communication ports, including antennas, against damage due to electrostatic discharges (ESDs), electrical fast transients (EFTs) and other overvoltage transients. Additional technical specifications are available on Littelfuse’s website. 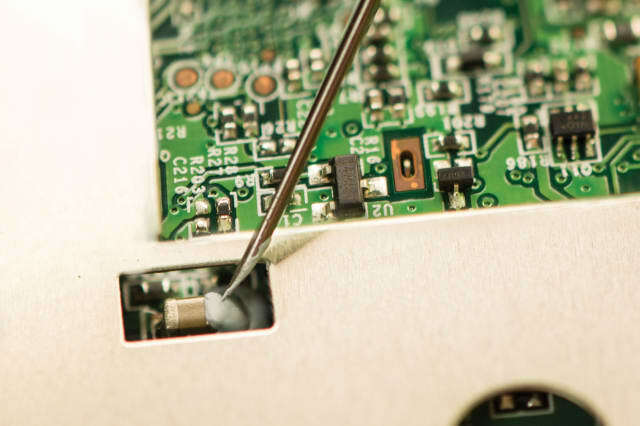 Masterbond has released the MasterSil 151TC, developed to improve thermal management for electronic assemblies in bonding and gap filling applications. This 100 percent solids silicone compound features a thermal conductivity of 10-12 BTU•in/ft2•hr•°F [1.44-1.73 W/(m•K)] and improved electrical insulation properties. Volume resistivity is >1014 ohm-cm. Additionally, this product was designed to guard against hostile environmental conditions. It has resistance to water and can withstand exposure to vibration, impact, shock, thermal cycling, salt spray and airborne contaminants. Shrinkage upon cure is low. MasterSil 151TC has good flow properties, an elongation of 90-110 percent and a Shore A hardness of 80-90. It adheres well to most substrates without the use of primers. Serviceability is from -65°F to +400°F. For more information, visit Masterbond’s website. The power consumption of the brushless DC motor amounts to 30 W when locking and unlocking. 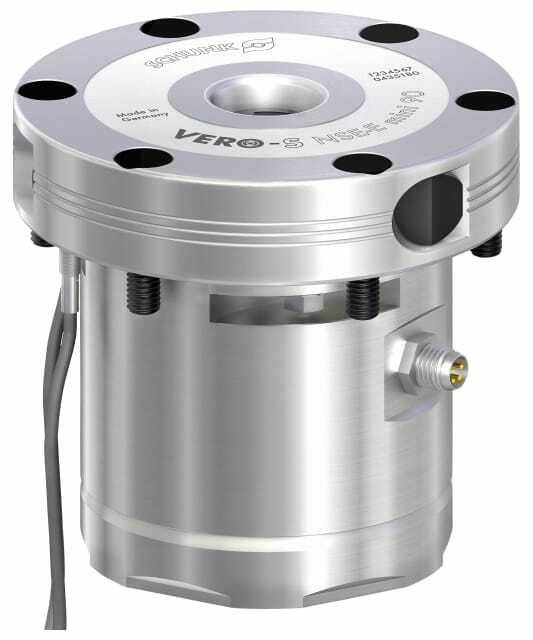 The VERO-S NSE-E mini 90 does not consume any energy when it uses a spring assembly for self-retaining and form-fit locking. That means that in the event of an emergency stop or a power failure, secure clamping is ensured at all times. The module can be opened manually if required via an emergency release. For more information, visit SCHUNK’s website. Missed the last EW – Assembly Edition? Click here.